Bayside High School junior Morgan McHenry knows how it feels to be a new student. 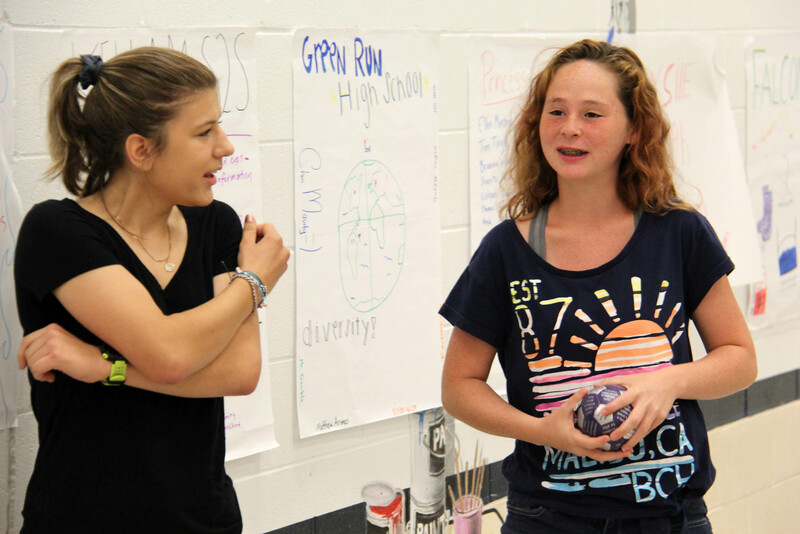 McHenry, a military-connected student herself, moved to Virginia Beach in August 2016 from Broadway, Virginia, just two weeks before the start of the school year. She was pleasantly surprised to find assistance from the members of the school’s Student 2 Student (S2S) club. McHenry liked it so much, she joined the S2S club last year. Now she is the smiling face incoming students see and she is eager to help. She is not alone. S2S clubs are available in all of the division’s high schools, and middle schools offer Junior Student 2 Student (JS2S) clubs. The clubs are part of an initiative by the Military Child Education Coalition to ease transitions and create a positive, welcoming environment for new students – military-connected and civilian students alike. Many of the division’s elementary schools also have student ambassadors who welcome their new peers. 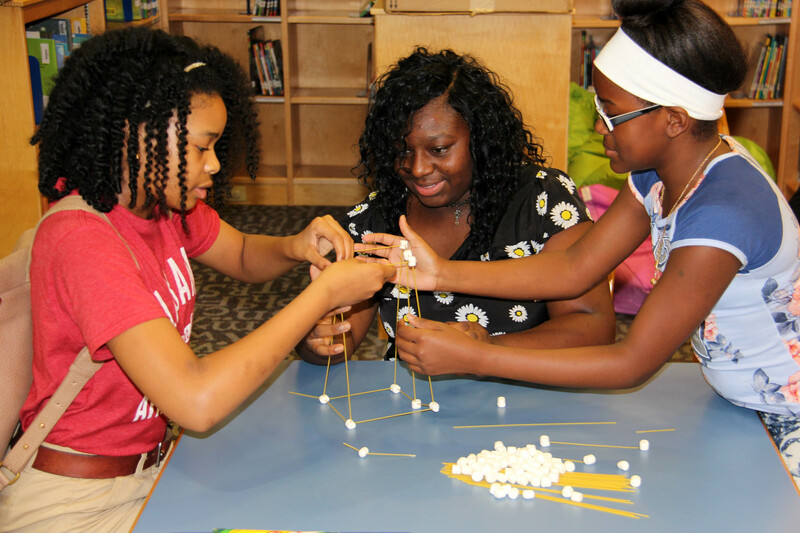 S2S and JS2S club members and their adult advisers recently attended a workshop hosted by the division’s Office of Student Support Services for school teams to reconnect and prepare for the upcoming school year. There was time to share ideas, too. Valentine’s for Veterans. Treats for Troops. Donating board games to CHKD. A blanket drive. Canned food collections. First Colonial S2S club members present their ideas. “We want to empower them to move just beyond welcoming new students. We like to have the service learning component because we feel that it’s important in building character, making connections and meeting new people,” said Natalie Meiggs, the division’s coordinator of military-connected and academic support programs. “Service” is one of five core values of the Student 2 Student programs. “Relationships, Academics, Leadership and Finding the Way” are the additional stated values. Finding one’s way, especially in the cafeteria, is a concern Amanda Yoder says frequently tops the list. “From K-12, that’s the No. 1 issue. ‘Who do I sit with at lunch?’ Just having someone they know, a familiar face, at lunch that first day or that first week is huge,” said Yoder. She is one of the division’s two military-connected school counselors who is primarily focused on supporting military-connected students and their families before, during and after their school enrollment in Virginia Beach. JS2S club members participate in a teambuilding activity. Green Run High School counselors Timothy Gamble and Rachel Webb agreed that new students often find comfort in speaking to a peer rather than an adult. “Sometimes, coming into our counseling office, students are not feeling overall comfortable, but having someone their own age to talk to, it gives them that great feeling that someone is there looking out for them,” said Gamble. 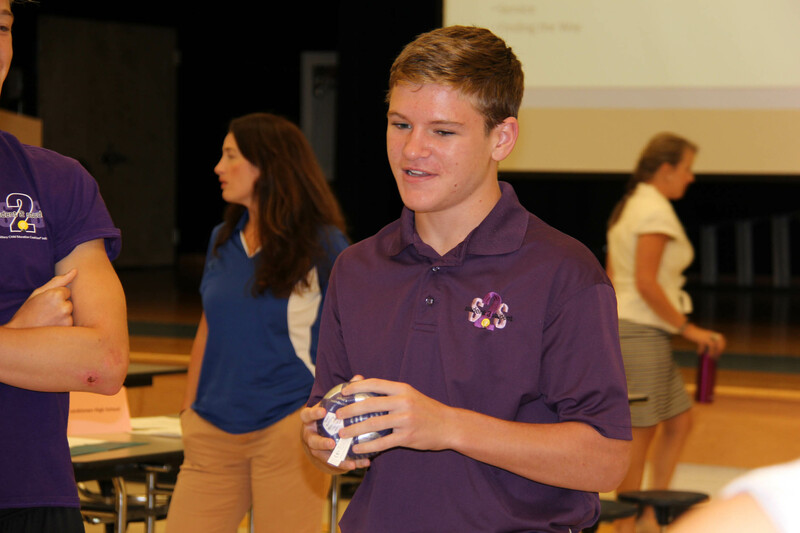 Making connections and offering support are what Channing Connors, a Kellam High School junior, enjoys about his involvement in the S2S club. Connors at S2S Summer Institute. With support from students like Connors and McHenry, incoming students likely will find it to be one of the best clubs, too. Can I please have assistance on who to contact regarding a transfer military grade-schooler who is needing emergency registration due to Hurricane Irma? Thank you.